The in-cylinder pressure fluctuations caused by intake valve closure (IVC) event were first investigated experimentally based on a single cylinder diesel engine with different cams. The experimental results show that the occurrence of the in-cylinder pressure fluctuation during the compression stroke has a close correlation with the IVC event. The start time of the pressure oscillation advances as the IVC timing advances. With a fixed IVC timing, higher engine speed results in a larger fluctuation amplitude and a longer fluctuation duration. To explain these phenomena, a numerical simulation model has been adopted. Results show that the IVC event causes pressure oscillations in both the cylinder and intake runner. At the same engine speed, the amplitude of the pressure oscillation decreases first and then increases as the IVC retards due to the change of gas flow direction. With the same intake temperature, the absolute time delay keeps constant at different engine speeds and IVC timings. The absolute time delay decreases as the intake temperature decreases. Based on the conclusions above, the potential methods to use the pressure oscillation are also discussed. 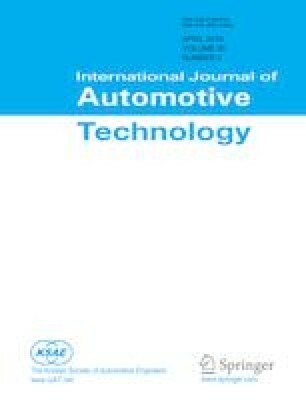 An innovative engine valve timing detection method on the basis of in-cylinder pressure oscillation is presented.